VietNamNet Bridge – Vietnam has been named among the top ten hot destinations for US travelers in 2019 by the US Tour Operators Association (USTOA). In an article titled ‘Where will US travelers explore in 2019? Top trends, destinations and anniversaries’ published on USA Today, USTOA mentioned Italy as the most popular destination for travelers in 2019. “The top 10 hot destinations for the coming year also included Iceland, which ranked second. It was followed by Japan, Vietnam, Australia, France, Spain, Colombia, Cambodia and Portugal,” it said. The ranking was based on a recent survey conducted by PriceWaterhouseCoopers of tour operator members of the USTOA. 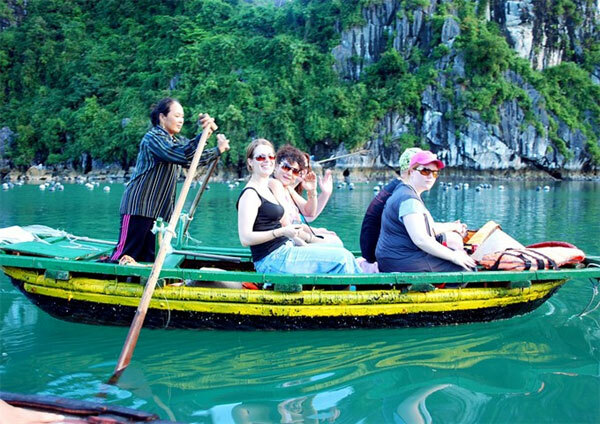 Vietnam has also entered the list of the top 10 off-the-beaten path or emerging destinations by USTOA members. Iceland again ranked first and Cambodia came in second. Other destinations are Croatia, Colombia, Portugal, Bhutan, Bolivia, Myanmar and Ethiopia. “It’s interesting to see five destinations – Iceland, Cambodia, Colombia, Vietnam and Portugal – appear on both the hot destinations and emerging destinations lists,” says Terry Dale, President and CEO of USTOA. “This tells us that off-the-beaten path travel experiences continue to grow in popularity,” he said. In a recent Booking.com survey, 45 per cent of 21,500 global travelers said they want to be more adventurous in their choice of destinations in 2019 than they were in 2018. About 82 per cent of USTOA’s members are offering art and culture travel experiences. The art and culture category was the highest ranked experiential tour type last year based on sales volume. In 2018, Vietnam is estimated to serve some 15.5 million-15.6 million foreign tourists and 80 million domestic travellers, generating VND620 trillion (US$26.66 billion) in tourism revenue. The number of international tourist arrivals surged three-fold from 5 million in 2010 to over 15 million in 2018. Also this year, the country has won a series of international awards, recognising it as a safe and friendly destination. Vietnam was named “Asia’s Leading Destination” for the first time at the 2018 World Travel Awards in Hong Kong this September. Two months later, it was honoured with the title of “Asia’s best golf destination in 2018” at the Golf World Travel Awards. In 2019, Vietnam expects to welcome some 103 million visitors, including around 18 million foreigners and 85 million domestic travellers, up 15 per cent and 6 per cent, respectively, from 2018. The sector hopes to contribute more than 10 per cent of GDP and create 6 million jobs, including 2 million direct jobs. At the same time, it expects to serve 32 million foreign tourists and more than 130 million domestic visitors in 2025.